When we are taking about C-panel, it is most important to know what is C-panel whats use of it. In a simple way we use Control panel in our PC or Laptop for manage program and many other thing, C-panel use for manage website or servers. It is provide by many hosting provider. But to do so you have to pay some money for use this tool. In this article we are going to tell you Top 10 Best free cpanel alternative open source software. Or free web hosting control panel like Cpanel to manage your server easily. So let’s take a look one by one. 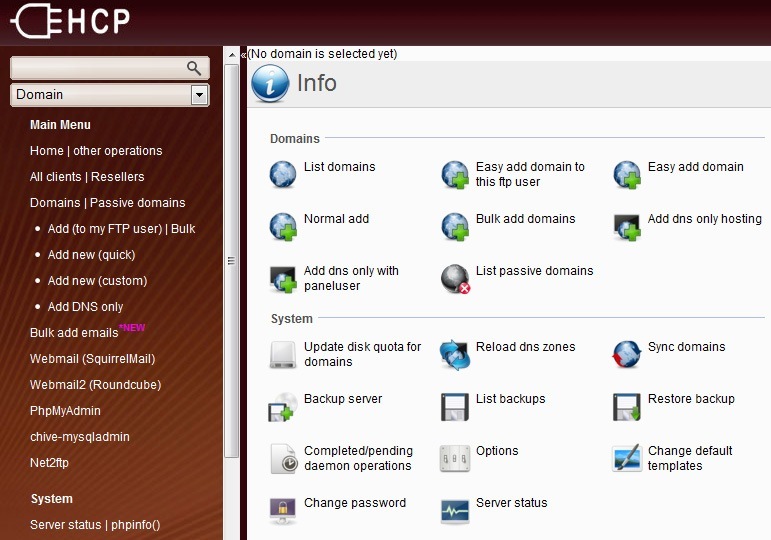 1: Froxlor :- Froxlor is a very popular and simple cpanel alternative open source software. It is open source software mean you can download or modify as per you use. With the help of this software you can manage your shared hosting, VPS and dedicate server. Also it offers you same feature as Cpanel. Froxlor feature is true multi-stack, Advance SSL, Php-configuration, Trafficcalculation and many others. 2: ZPanel :- ZPanel is the another best alternative open source software. ZPanel is open source software so it is free to download and easy to use web hosting panel for Windows, Linux, Unix, Mac also. ZPanel core feature is Apache Web-Server, hMailServer, FileZilla Server, MySQL, and many more. 3: VestaCP :- VestaCp is a open source software. It is easy to install and only two command need for that. Now VestaCP support RHEL/CentOS 7/6/, Ubuntu 15.10-12.04 and Debian 8//7/. It offers some of the feature which other don’t, feature of VestaCP is Web Server, DNS server, Database Server, Mail Server, FTP Server and so on. 4: Plesk CP :- Plesk is just similar to CPanel and allow you to manage web hosting through web based interface. You can manage you shared, Dedicate server with help of Plesk CP. Plesk CP feature is Email, SQL, File manger, Domains, Database and many other feature which can help you manage. 5: Ajenti CP :- Ajenti is open source rich feature and lightweight CP which provides web interface for managing Shared and dedicated server. It offers you a plugin for managing server. 6: Kloxo CP :- Kloxo is also a open source software available for Red hat and CentOSand Linux. It helps user to manage and run combination of Apache with BIND without losing data. It offers you full function of client like Enable frontpage, Enable ssl, Web server pool, Mail server pool, Dns Server pool, Database server pool and many others also backup of your all data and email an other things. 7: ISPConfig 3 CP :- ISPConfig 3 is a open source control panel for linux and also can manage more than one server by one control panel. It offer you Admin, Re-seller, Clients, Control Panel Users use for different use. Most like other it is not easy to install, half done by automatically and manually also. 8: BlueOnyx CP :- BlueOnyx is also an open source software based on linux, Cent OS 5.8-6.3. It comes with a DNS server so don’t need to install bind. BlueOnyx come with reseller management, Java Servlet Pages, built in email statistics, email migrations, SSH key/cert management, phpMyAdmin for you and your webhosting clients and automatically create MySQL databases. 9: Webmin CP :- Webmin is based on web-based interface for Unix. You can use any new browser for setting up your account, DNS, File server and other thing. Now latest version give you the power to install on window and run it also there is some new feature added into this like more languages, SSL certificate, Mysql 5.7. Webmin is a complete list of all the plugins, addons and features provide by Webmin. So i have told you Best free cpanel alternative, now you can also try one of them and let us know which one you are trying and if you face any kind of query than feel free to ask through comment.